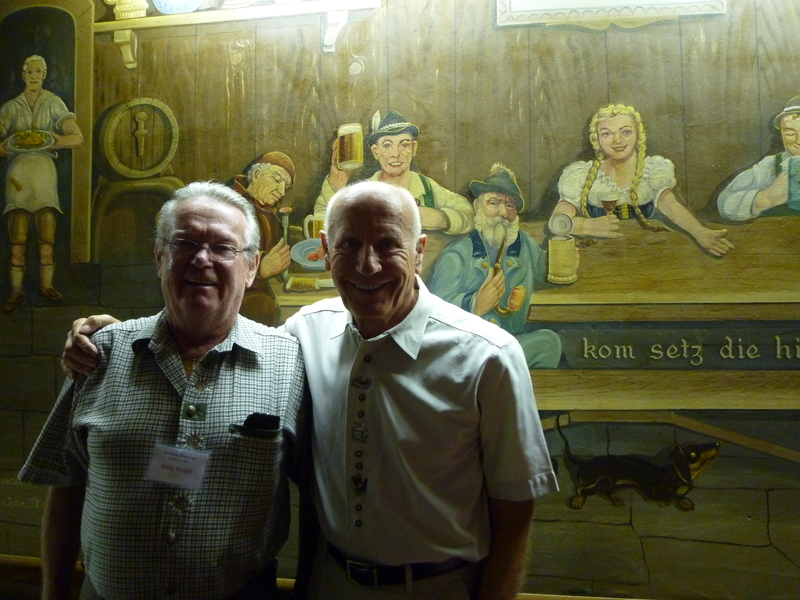 Helmut wears his ‘Bavaria on the Gulf Coast’ Lederhosen to the Saturday night dances at the German American Society of Pinellas County – like most of the similarly-attired men who have arrived to eat Schnitzel and Black Forest cake before a backdrop of painted walls depicting Heidelberg and Neuschwanstein. When the band plays the first waltz, Helmut and the others lead the ladies to the dance floor as they did when they were young in Bavaria or in Sudetenland. 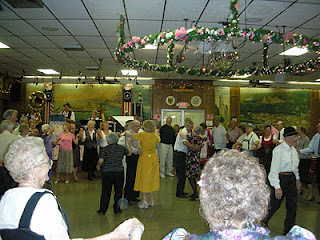 The German-American retirees have one unwritten rule for these social evenings: No talk of politics and no religion. Ilse sees things differently. She is still a German citizen, but if she could vote in the U.S., she would re-elect President Obama because of his health care reform. As a young woman, she saw emigrating to America as an adventure. Now she sometimes regrets her decision. Ilse says that she is sorry for all those Americans who are being told that their social systems were among the world’s best. At 67, she does not want to retire, because the financial crisis has decimated her savings. Having worked for the same company for more than eight years, she still has no more than two weeks of vacation per year. “People here are so naïve,” Ilse says. According to Martin, the Germans are just as silly. All the nonsense that he had to listen to when he travelled back to Germany for business! He still gets upset when he remembers the visit at the height of the Cold War with the Soviet Union – when his peace-loving German hosts suggested that the U.S. should disarm unilaterally. “This was really the last thing I needed to hear!”, he says. Willy is nodding vigorously at his side. They could go on to dispute the smaller crowd of German-American Democrats in the room, just as they probably would bash the Social Democrats at a regular’s table in a small town in Bavaria. But in Pinellas Park, their wives step in and pull them back to the dance floor. No more American politics, please! This entry was posted in Transatlantic and tagged Election 2012, Florida, German American, Obama, Romney, US election, US-Wahlkampf. Bookmark the permalink.